The disrespect of the citizens of Montgomery County in the Independent Transit Authority scandal continued Friday night, as the Montgomery County Delegation to the Maryland state legislature held a public hearing on bill MC 24-15 at the County Council Building in Rockville. After all the deception and dirty tricks of the previous 6 days, the shenanigans extended to the hearing itself. Despite promises that the hearing would present a balance between those for, and opposed to, the bill that would create an unelected transit authority with unlimited taxing and eminent domain power, the deck was stacked in favor of the bill. Citizens already forced to race home from work to Rockville for a 6:00 PM start time arrived to find County politicians and developer-backed advocates for the bill ensconced at the top of the speakers list. That was just the beginning. Not only did citizens and Ride On employees have to sit through a whopping 15 supporters of the bill before even getting a chance to speak, but those speakers and their allies in the delegation dragged out their testimony to around 90 long minutes. 90 minutes of mostly hot air. At one point, the delegation's chair, Shane Robinson (D-District 39) even spent time giving shout-outs to former delegates. Why they were even there makes no sense, but how about a "shout-out" to your constituents - the people who pay your salaries? Earlier, Robinson tucked away the First Amendment, admonishing the crowd to forgo applause, "booing, and hissing." God forbid we'd have to hear any expression of the anger of the public after the outrageous deception that brought forth this ITA proposal. Speakers for the proposed legislation were given extra time, and more extra time beyond that to fully flesh out ideas, cover all the bases, and complete actual thoughts. The taxpayers who paid for the hearing and the microphones? Two minutes, a full 60-seconds less than the 3-minute standard for public hearings at every other level of government. "I am John Smith, and I oppose the bill because...." [beep beep] "Wrap it up!" The chair of the County Rapid Transit Task Force, Mark Winston, who was previously found to be in a position to benefit financially from the approval of a Bus Rapid Transit system and the development that would follow, had the laugher statement of the evening: "There is nothing sinister being proposed in this bill." Winston said the formation of the transit authority would "increase the sense of urgency" regarding construction of new transit projects in the county. But all of the urgency is really coming from the developers who will benefit from passage of MC 24-15. Delegate Ben Kramer (D-District 19), one of the few outspoken critics of the bill (and one of the few who wisely voted Nay on the late filing of it in Annapolis) on the panel, asked Winston "are we perhaps putting the cart before the horse?" Kramer compared the idea of granting an unlimited funding mechanism before the details of the authority and the projects are even known to a kid demanding college tuition from his parents. That kid has no specific plans about college, Kramer said, but is simply "lookin' for you to pay for it," an allusion that drew raucous laughter from the packed hearing room. Another Nay-vote, Delegate Eric Luedtke (District 14) was similarly skeptical of the bill, and the process that brought it to a sudden public surfacing last Friday. He mused aloud whether or not it might be sensible to simply have a public process and discussion on this at the county level through 2015, and then put forward a better bill in the 2016 session 12 months from now. Luedtke's on-point questions also brought out a very significant aspect of the proposed authority I had never even considered. Because the ITA would not be backed by the "full faith and credit" of Montgomery County, it would therefore have to pay markedly higher interest rates - at taxpayer expense. A common-sense idea from Delegate Aruna Miller (D-District 15) - who did vote for the bill, by the way - was to have the transit authority issue be put to a voter referendum in 2016. But voters were still waiting to have their say last night. And waiting. And waiting. Amy Ginsburg, Executive Director of Friends of White Flint, enthusiastically endorsed the bill, saying her group "looks very favorably" upon it. She claimed "the community rallied around" it, but strangely, none of those feverish fans ever showed up at the hearing last night to provide evidence of her statement. Finally, a few detractors got a turn at the mic. One of them, Town of Chevy Chase Councilmember John Bickerman, scored several blows on the authority, and his testimony was referred to and seconded by many speakers through the long hours that would follow. He noted that the actual language in the bill "doesn't sound at all like what" its proponents testified at the hearing. The bill is actually a "backdoor property tax, an effort to circumvent the cap on property tax," he argued. One of Bickerman's comments which got a favorable response from the crowd, was his astonishment that "you have a public hearing on Friday night at 6:00." Paula Bienenfeld, representing the Montgomery County Civic Federation, asked the delegation which of them traveled to the meeting by transit. No one raised their hand. 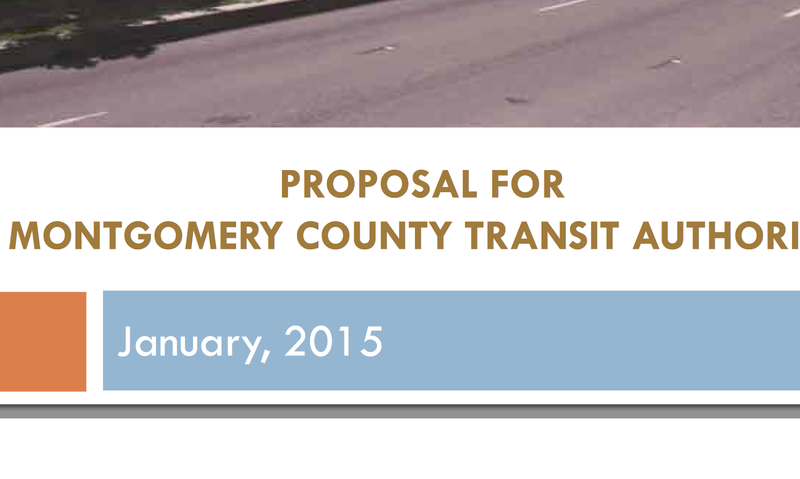 The Montgomery County Council has famously had the same response when previously asked. Yet both bodies are asking the public to "get out of their cars." Winston, the Rapid Transit Task Force Chair once said "it has been a while" since he rode the bus. Hypocrisy at its best in all 3 cases. Finally, someone pointed out the elephant in the room - the dirty tricks speakers list. Twinbrook Civic Association representative Christina Ginsburg criticized the way the delegation "stacked this hearing" with supporters in the early, favorable slots (several reporters left early, and did not hear [and therefore will not quote] the later speakers). The crowd cheered, and one voice in the crowd bellowed toward Del. Robinson, "You said it would be pros and cons!!" That promise, of course, turned out to be hogwash. Attacking the decidedly-unusual process by which this bill has been brought forth, Ginsburg said, "I'm appalled that you're lending your names and reputations to this kind of chicanery." She added that none of the jurisdictions cited as models in the county report allow what's in this bill. "Kill this bill," county resident James Williamson said. He was skeptical of claims that the county should be trusted on this legislation. "Just look at the great work we did with the Silver Spring Transit Center," he noted sarcastically. County resident Tanzi Strafford concurred, citing the county's "history of incompetent transportation management." Williamson seconded Miller's suggestion of putting the matter to the public via referendum. Joan Fidler of the Montgomery County Taxpayers League called the bill "a solution in search of a problem," and then went on to slice and dice it - and its proponents' arguments - to the delight of the crowd. Jean Cavanaugh was one of several civic leaders to note that the short notice of the bill and public hearing did not permit enough time to engage membership on the proposal. Her Seven Oaks Evanswood Citizens Association's Executive Board is opposing the bill. The Greater Four Corners Alliance is also in opposition to the ITA bill, and its representative Kevin Harris referred to the "undemocratic process" it has been rushed through. Eileen Finnegan said Hillandale residents question the need for such a transit authority, and its Executive Board is likewise opposed. Allen Myers, representing the Maplewood Citizens Association in Bethesda, said that a similar ITA proposal was only approved in the state of Florida after two voter referendums. The Cherrywood Homeowners Association was also opposed. Their representative, Paul Jarosinski, said resident opposition was "almost unanimous." Jarosinski called the county's BRT plan "a forced redevelopment plan, rather than a transit plan." Cherrywood's neighbors, the Greater Olney Civic Association, is equally opposed, particularly in light of the ITA's "unspecified borrowing and eminent domain powers." GOCA is also concerned that ITA debt would ultimately become the responsibility of the County, and its taxpayers. Union leader Gino Renne expressed several reservations about the bill, including the open question of what would happen to current labor contracts under the ITA, and the fear of privatization. The room and hallway were packed with union members wearing yellow shirts. Some carried signs protesting the bill. Even supporters of the bill thought it could use some significant changes. Jay Corbalis, development associate at Federal Realty, argued "we need to offer more than sitting in traffic" as transportation options for young professionals. But he added that the development firm doesn't "support a blank check" such as the bill's language currently implies. Corbalis also said Federal Realty wants checks on the ITA's powers, and a cap on the amount taxes can rise. Author, transit advocate and Bethesda resident Ben Ross (Action Committee for Transit) said he is concerned that the ITA proposed is not restricted to transit. Ross was particularly concerned that ITA funds could end up going to garage construction. He argued parking districts should not be placed under ITA control, and said the "bill as currently drafted won't provide that." A spillover crowd, angry constituents, and the first sunlight to hit the ITA proposal since it was drawn up behind closed doors almost certainly will result in some changes to this bill. It could even be delayed a year for more public feedback, if politicians don't want to end up like their ousted counterparts in Arlington County. But don't expect the ITA to disappear, with so much developer profit at stake. Ahead of a February 2 discussion and February 9 vote by Rockville's Mayor and Council on the proposed changes to school capacity standards in the city's Adequate Public Facilities Ordinance, the Rockville Planning Commission approved a memo expressing its opinion on the matter. The opinion is advisory to the Mayor and Council, separate from the actual legislation that will be voted upon on February 9. The memo was approved at Wednesday night's meeting. In discussing the memo's final draft, prepared by Commissioners Charles Littlefield and Anne Goodman, some changes were suggested. Goodman and Commissioner Jack Leiderman agreed that a line proposing the city fully adopt the Montgomery County APFS, if the school standards were changed, should be eliminated. Leiderman said it would be preferable for the Mayor and Council to make changes in that event, rather than require automatic adoption of the County policy in whole. Chair Don Hadley informed his colleagues that a pending Maryland court case could require delay of the city requesting an "authoritative interpretation" from the state's Attorney General's office on whether the Mayor and Council indeed have the authority to change the APFS. He said an Anne Arundel County case pending before the State Court of Appeals will determine if a jurisdiction can "have laws passed by the legislative body that are inconsistent with the Master Plan." The case will involve the legal standing of a citizens association to challenge something inconsistent with a Master Plan. And how "inconsistent" is defined, Hadley said. Hadley advised that requesting an opinion from Attorney General Brian Frosh be put on hold until the court rules in the Anne Arundel case, or else "we'd be asking the AG to get ahead of the court." He suggested the Attorney General could then issue an opinion. Hadley noted that the Attorney General's brief in the case reflects his office's Fall 2014 opinion that has raised the question of whether or not the Mayor and Council have the power to change school standards. Commissioner John Tyner questioned if Commissioner David Hill's previous concern that the school changes might be unconstitutional should be written in authoritative language, or by stating the commission believes there is a chance it might be. Tyner suggested "may well be unconstitutional" for the language. The commission's "resident expert", Commissioner Dion Trahan, said that the argument wouldn't "hold water," in his professional opinion. Trahan holds a graduate degree in Constitutional law. No clear final language was stated aloud on that point. Hill moved that the document be adopted and transmitted to the Mayor and Council by today. The memo was unanimously approved by the commission. A Powerpoint presentation reportedly delivered by Montgomery County officials to as-yet-unidentified groups - prior to public announcement of legislation that would permit creation of an unelected Transit Authority with taxing powers last Friday - has been taken down, and reuploaded to the County website with a January 2015 date added. While there is nothing necessarily nefarious about the change, it certainly plays into the existing controversy over the timeline of to whom the plan was disclosed to and when, prior to last Friday. There is a dispute between County officials, and citizens who oppose the plan, as to whether development interests had more notice of the plan details than residents. The latter only got their first look at the specifics of the proposal 6 days ago. The change was reported by the Stop the Backroom Montco Transit Authority Deal Facebook page, operated by citizens organizing to fight the proposed new transit agency and taxing authority. Previously, the document was dated "December 2014," a date prior to the January 23, 2015 public announcement of the Independent Transit Authority legislation and details. Patrick Lacefield, Montgomery County Director of Public Information responded to the blog prior to yesterday's date stamp change. He asserted that the Powerpoint presentation had been delivered to "a whole range of community organizations" since County Executive Ike Leggett's Inaugural Address December 1, 2014. The County has not yet published a list of the "community organizations" to which the presentation was made. If your civic association, organization or business group received the presentation, please comment below or confidentially via email. I personally never heard any public announcement of a presentation that could either be attended, or requested to be delivered to a civic association or group, during the time period in question. A public hearing on the state legislation that would permit creation of the Transit Authority will be held Friday, January 30, at 6:00 PM in the 3rd Floor hearing room of the County Council building at 100 Maryland Avenue. Those interested in testifying can sign up online by 12 PM on Friday. Much of the heated debate over the plan to give Montgomery County Public Schools' Shady Grove bus depot to developers has been in the Aspen Hill area, where an MCPS program with a reputation for frequent police intervention is being moved from the existing Blair Ewing Center (a.k.a. Mark Twain School) on Avery Road. But that Avery Road site along Norbeck Road is also close to the Twinbrook neighborhood in Rockville, RedGate golf course, and Rock Creek Park. That has many Twinbrook residents alarmed, and left with little time to react with this "smart growth" land swap moving full steam ahead. $16.6 million dollars had previously been allocated to renovate the Blair Ewing Center school, which could hold 600 students in a time of vast overcrowding in MCPS facilities. Yet the Montgomery County Council Education Committee is scheduled to vote today to take back those funds, paving the way for demolition of Blair Ewing, and moving the "smart growth" scheme forward. $32 million will be spent to redevelop the site into a bus depot, money that is being spent for the sole purpose of private developer profit at the current Shady Grove depot site. Money which, of course, could instead go to new school construction in Rockville or Aspen Hill. Christina Ginsberg, past president and current treasurer for the Twinbrook Citizens Association, has written a letter to County elected officials on behalf of current president Richard Gottfried to express their concern. 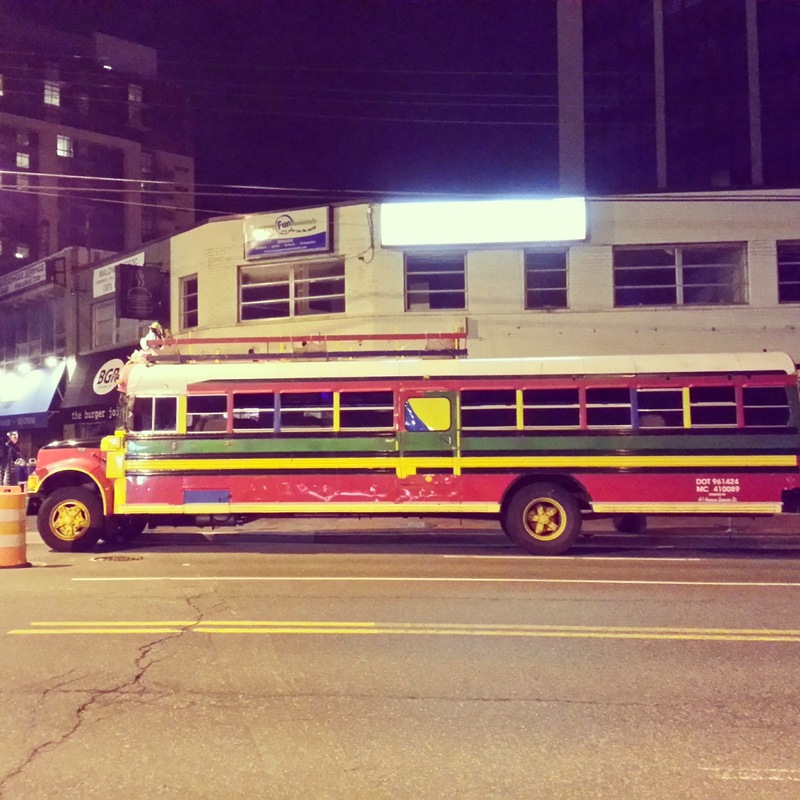 In it, Ginsberg implores the County to "stop fast-tracking the bus depot. The whole project needs to be reconsidered before it becomes an embarrassment to Montgomery County." 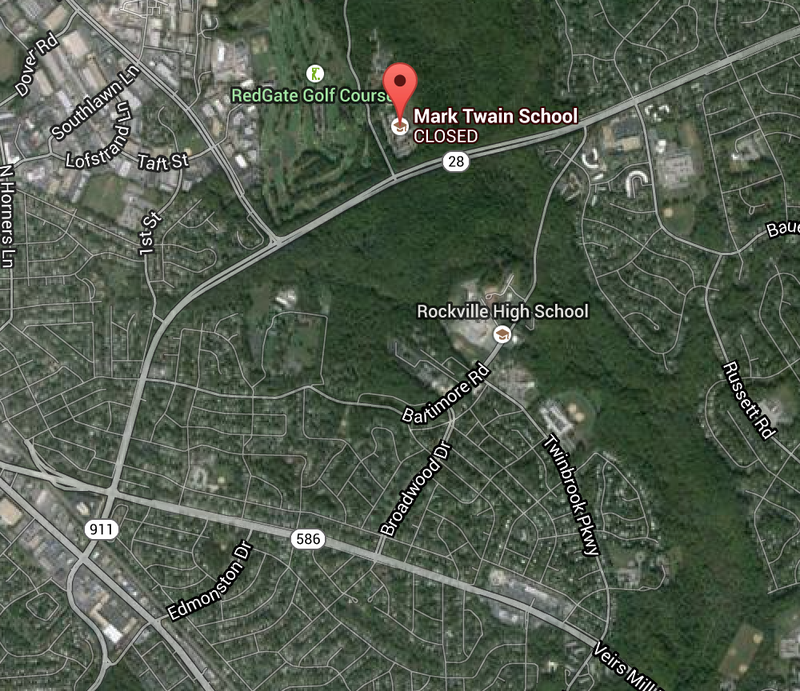 The Avery Road site's Mark Twain School Athletic Park was funded by the City of Rockville and Project Open Space funds, and is used for various team sports. City taxpayers covered 25% of the construction costs, and Maryland put $591,750 in P.O.S. funds to cover the rest. All of that money would now be for naught. The 500 buses using the depot would be driving in and out of already-jammed Norbeck Road, which would cause traffic issues for neighborhoods in Rockville and Aspen Hill. Demolition of the school is contrary to the Rockville Pike Plan's allowance for a major influx of new residents and students to the city. And the already-shaky RedGate Golf Course could be impacted negatively, as well. Perhaps most jarring, is the decision to place the massive depot literally on the edge of Rock Creek Park, with its already-strained water quality and downstream flow into the District. Ginsberg warns of the environmental impact of runoff from the vehicles and site into Rock Creek, writing that the depot would be "essentially an industrial facility next to a nationally significant piece of parkland and a waterway that traverses historic areas of the District of Columbia. I would hope that you are as interested in preserving parkland DOWNCOUNTY as you are in preserving parkland upcounty, as with Ten Mile Creek." The County Council has shown very little concern with waterways in the downcounty area, having sold off part of Little Falls Stream Valley Park to a private developer. It is now threatening to approve a massive redevelopment of the Westbard area that would drop over 3000 new residents on the banks of the Little Falls watershed. Ginsberg notes that the school system is "crying poor" in Annapolis for construction money, even as it plans to demolish an existing school and spend tens of millions of dollars to do so. And with little warning to residents. "When we, the taxpayers, see this kind of hidden and backdoor deal being pushed through, and we are told, yet again, at the 11th hour, that it is a 'done deal', we know there is something badly wrong," Ginsberg wrote. This is at least the second County project in the last month that is being rammed through as a "done deal", before citizens have even seen the details. The other one - a new Transit Authority - popped up last Friday afternoon. 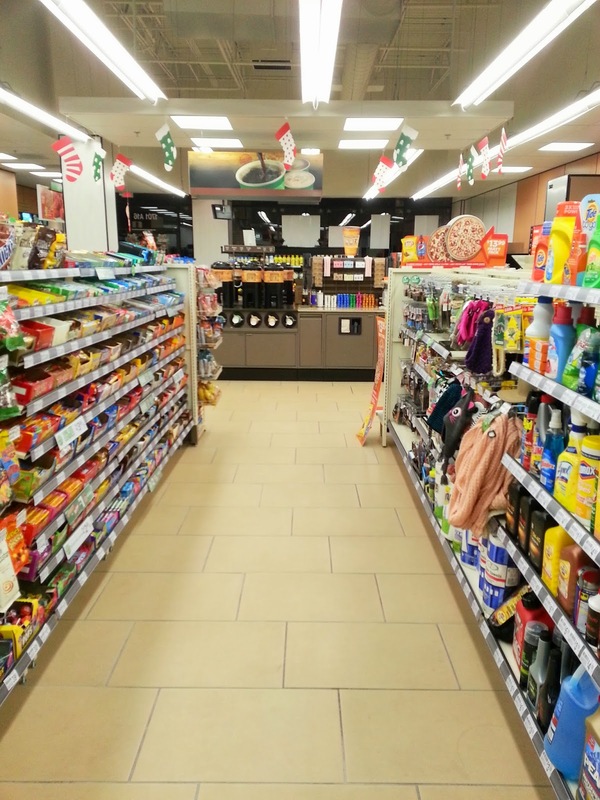 Monday night's Mayor and Council meeting extended into Tuesday morning, as Rockville leaders again took feedback from the public on proposed changes to the city's Adequate Public Facilities Ordinance standards. The proposed changes, spearheaded by Councilmember Tom Moore, would bring the standards in line with those of Montgomery County's, including allowed schools to reach 120% of capacity, and measuring overcrowding and capacity by school cluster, rather than by individual school. Many residents, and current and former Rockville elected officials, have argued the change will weaken the APFO, allow more development, and overwhelm classrooms, roads and other infrastructure. One city planning commissioner has even suggested the changes would be unconstitutional, as cluster averaging would not treat each child equally. Montgomery County Council Deputy Administrator Glenn Orlin made a surprise appearance at the end of the public hearing, offering to answer questions. Orlin said the city's APFS "has no impact at all on where the money goes," when the County allocates funding for school construction. Newton, former Mayor Larry Giammo, and Planning Commissioner Jack Leiderman, among others, have vigorously disputed that assertion, pointing to two school projects about to commence in the city. A vote on the changes is expected on February 9, but Mayor Bridget Newton said she was concerned that the council had not yet had a public discussion on the issue. "I think it's incredible that we haven't had a discussion about this," Newton said after citizen testimony was completed. Moore said the matter had been a topic of public discussion for years, public hearings had been held, and that the vote should go ahead. Newton suggested delaying the vote, so that County and Montgomery County Public School officials could be brought in for a discussion of ways the school overcrowding issue could be addressed. Future meeting agendas made it difficult to set up such a delay, and it was eventually concluded that the APFS discussion will take place at the February 2 meeting next Monday. It was unclear if that would permit all of the hoped-for officials to participate on such short notice. Newton has said it would be more productive for the city to partake in a school standards discussion being planned by County Councilmember Roger Berliner. Orlin disputed that such an event was going to take place. "I've heard it from the horse's mouth," Newton asserted, citing conversations with Berliner, and discussion she had with Gaithersburg Mayor Jud Ashman and County Councilmember Sid Katz earlier Monday, which confirmed the conference was in the works. As the meeting stretched past midnight, city staffers greeted the council with, "Good morning." Some midnight oil will have to be kept for next week's meeting, which now will have a sure-to-be-contentious APFS discussion added to its already-packed agenda. I told you this was coming back in 2012, and now it's here. A new tax that will cost many Rockville homeowners around $300-$1000+ a year has been planned by Montgomery County since that time. But the problem they've faced is, how to introduce the largest across-the-board tax increase in County history, but avoid the political damage to themselves? Montgomery County Councilmember Marc Elrich has previously suggested having developers pay the cost for the $5 billion boondoggle known as Bus Rapid Transit, given that the system will generate more real estate developer profits than actual riders - even according to County planner Larry Cole' original ridership estimates (before he got a good talking-to from the MoCo political machine, and hastily revised his numbers). If you follow county politics, home of the $72 million tax-cut for developers in White Flint, you know that developers aren't going to pay for this. You, the taxpayer will foot the bill, even as you deal with the traffic worsened by BRT taking lanes from cars on MD 355 and Georgia Avenue, reducing capacity on those already-jammed roads by 33%. But how to do this politically? After all, the BRT is such a weak project, it qualifies for no federal funding, and proponents have been unable to identify or procure a single penny to build it. Introducing the Montgomery County Independent Transit Authority. While no one was paying attention, MoCo elected officials did a run-around the public. First they hid a state bill that would give them authority to create this Independent Taxing, er, Transit Authority. Then, after the deadline for bills from the Montgomery County Delegation, the bill was snuck in. No public hearing. No public announcement. The only way I found out about it, was that I was signed up for a County email list, and received a fact sheet on a Friday afternoon - and if you're in the PR and politics business, you know that's the time of the week that politicians dump something they want the public to ignore. More secrecy. An unannounced public hearing will be held by the same delegation that hid this unlimited tax-hike bill from you for weeks, this Friday in Rockville, a mere 7 days after the bill's existence was even made public. It only exists on this website if you do a Google search, and 99% of the public doesn't even know it should look for it at all. It's outrageous. What will Bill MC 24-15 do? Not all of the implications are even know or understood by the public yet. The bill will permit creation of a 5-member Independent Taxing Authority board. Those 5 members will be chosen by County Executive Ike Leggett, subject to approval by the County Council. They will have the power to raise taxes on everyone, including the poorest residents of the county. In fact, residents in places like Poolesville, Westbard, Potomac, and Damascus - who won't even have BRT to use in their areas - will have to pay the tax, too. Most significantly, there is no limit to the amount of taxes the ITA could raise, even within one year. Leggett's Rapid Transit Task Force recommended a 15% property tax hike, which is what would lead to yearly payments in the hundreds of dollars for even those who own condos in older buildings, or more than a thousand a year for those in luxury condos and McMansions. And as unelected officials, they are entirely unaccountable to the voters. Of course, that's the brilliance of this scheme, in that the County Council and Executive will be able to shirk the blame for higher taxes off onto this hatchet team that can be as mean and nasty as they want, without any threat of removal from the public. That is Taxation without Representation. But wait, it gets worse. Check out Line 6 of Page 4, and Line 7 of Page 7 of MC 24-15/House Bill 104, and you find out that not only would this Transit Authority be able to take on unlimited debt, but that the County can even shift debt and financial obligations to it. Theoretically, the County Council could transfer the "assets and obligations" of any boondoggle or pet project - including the Silver Spring Transit Center - to this body. And you would be stuck with the bill, while the County Council avoids having to be the body raising your taxes to pay for it, and gets to spend more money on its sugar daddies, the developers. That makes the ITA a virtually unlimited vehicle to raise taxes and blow the County budget even beyond its already-ridiculous $5 billion proportions. And there will be absolutely nothing you can do to stop it. II. May not require the Transit Authority to submit its capital or its operating budget to the County for approval. 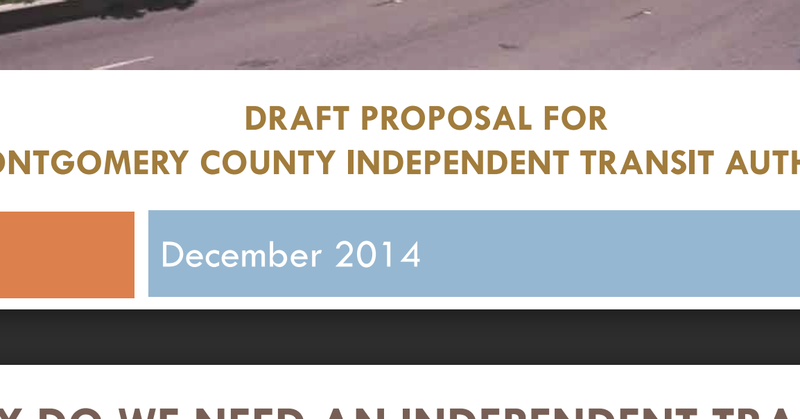 That directly contradicts claims that the County Council will have approval authority over its budgets. Not only would the ITA be exempt from the "Ficker Amendment" to the County Charter, which provides what little restraint exists on the amount of taxes the County can raise in any year, but it gets even worse. According to 6C and 6D on Page 5 of HB 104, no amendment could be made to the Charter in the future that would restrict or cap the amount of revenue the ITA could raise at any time. Meaning that, even if an activist like Robin Ficker were to collect signatures to get such an amendment on the ballot, it could not be applicable to the ITA. While the tax issues may be the most blatantly abusive and offensive in this power grab, there are other provisions that must be examined, as well. The ITA would have de facto eminent domain authority, and the ability to demolish homes and businesses. That raises the specter of the quiet plans to demolish 155 homes and businesses along Georgia Avenue between Olney and Wheaton for a BRT line. Don't like it? Too bad, the ITA is unelected, and would not be thrown out in the next election by angry residents (assuming they still had a house to reside in). And assuming a board member with ties to developers was appointed to the ITA (such as Mark Winston's ethically-questionable role on Leggett's Rapid Transit Task Force), the body could wheel and deal in the real estate market with public money, and developers could acquire private or County land at sweetheart prices, among other potential abuses. There would also be a currently-undisclosed bureaucracy of new government employees who would be hired for the Authority, with the high-ticket pay and benefits one expects from Montgomery County. With many County departments currently understaffed for financial reasons, where would the money for that come from? From you, of course. Who voted for this now-you-don't-see-it-now-you-do MC 24-15 bill? Thanks to the Parents' Coalition of Montgomery County, that information is available. In Rockville, Delegates Kumar Barve, James Gilchrist, and Andrew Platt all voted to approve this "late-filed" legislation. Worst of all, this bill has all the wrong priorities. Completing our unfinished master plan highway system would move the most people for far less money. Yet this ITA would do nothing for highways, or even to repair the ones we already have. In fact, it will use dirty tactics to fund a BRT system that would actually reduce highway capacity, and that the vast majority of residents oppose. MC 24-15/HB 104 must be stopped. One citizen group is already organizing against it, and there is a Change.org petition online. The gumption of the county's elected officials is something to marvel at, given they just got walloped by Maryland voters who rose up in a tax revolt, of all things. With all of the leeway in this legislation, $300-1000 per resident, per year, could be just the starting point for the Independent Taxing Authority. 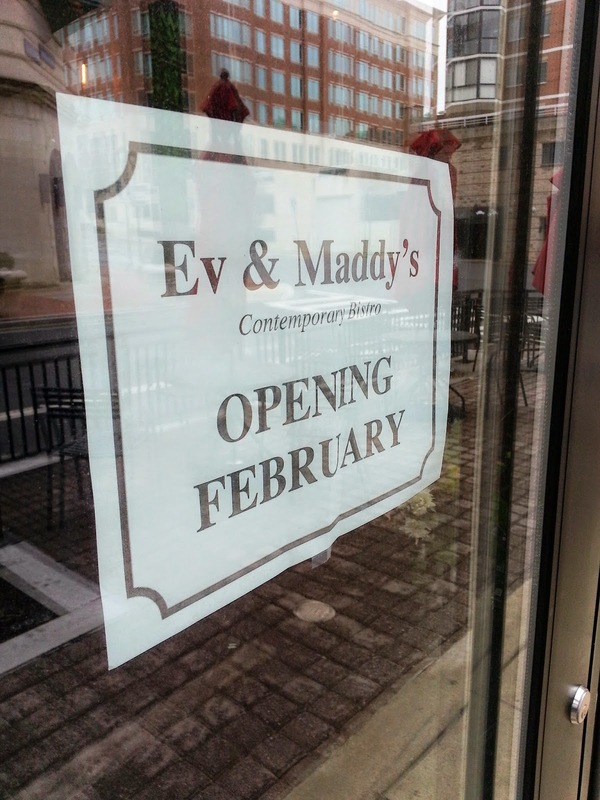 Ev and Maddie's Contemporary Bistro is taking over the just-vacated 82 Steak Out space in Rockville Town Square. The European-style bistro will be helmed by Chef Patrick Pak, an alumnus of La Academie de Cuisine, according to the academy. 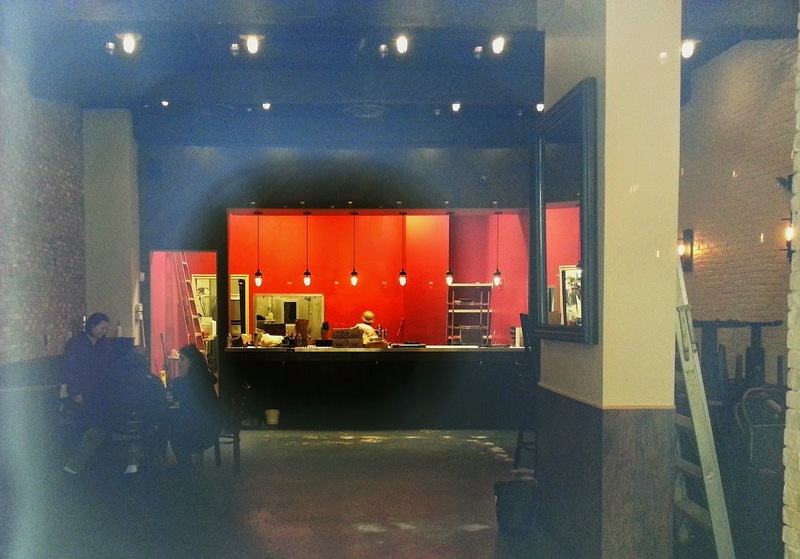 Chef Pak will employ local ingredients, and men were already working to convert the interior when I stopped by. 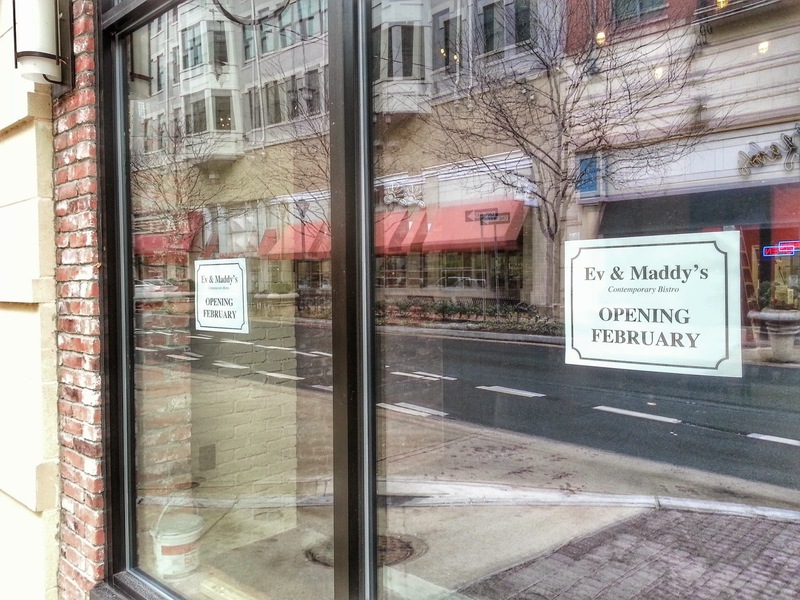 Signs posted at the restaurant say it will open next month. Americans still want all of the above. They want the suburban lifestyle, and are voting for it with their pocketbooks and mortgage checks, according to the latest trend study by real estate website Trulia. And you can expect that trend to continue, says Trulia's Chief Economist Jed Kolko, Ph.D. The latest figures and anecdotal evidence suggest that millennials are heading for the exits in "hip" urban areas, priced out by the recent real estate boom in urban multifamily housing, and seeking to escape poor schools and higher rates of crime. Even in urban areas where murders may be reduced, frequent burglaries, auto break-ins, and thefts of packages delivered are more than mere annoyances for all but the heartiest of gentrifiers. Last year, population growth of suburbs again outpaced that of cities, and the Trulia study confirms it was not an anomaly, despite media hype that has tried to suggest the suburbs are dying. In July 2013, Montgomery County Councilmember George Leventhal (D-At-Large) declared the suburbs were "a mistake." (Kind of ironic, for a Councilmember who lives in the suburbs himself, and represents a majority-suburban jurisdiction, don't you think?) The County Council, with the exception of Marc Elrich (D-At-Large), has voted repeatedly to urbanize the suburban areas of the county. Yet the studies show they are out of step with reality, and what the public is demanding in 2015. "Today, the vast majority of young renters aspire to own," Kolko writes. "Homeownership remains core to the American Dream. The future of the suburbs looks bright," he concludes. "As millennials get older, many will follow a familiar path: They’ll partner up, have kids, and move to the suburbs. Urban living starts to decline after ages 25-29," Kolko notes. Kolko suggests that the appearance of the average age dropping in urban areas in the last decade was more a result of older people fleeing cities, than of millennials moving in. In fact, the number of people over 45 living in urban areas has dropped since 2013, the study indicates. The Trulia study dovetails perfectly with the evidence and sentiments in the Washington Post article linked to above, in that young people are not planning to stick with urban living for more than a few years. And suburban residents are more satisfied, and more likely to say they're staying where they live now for the long haul. 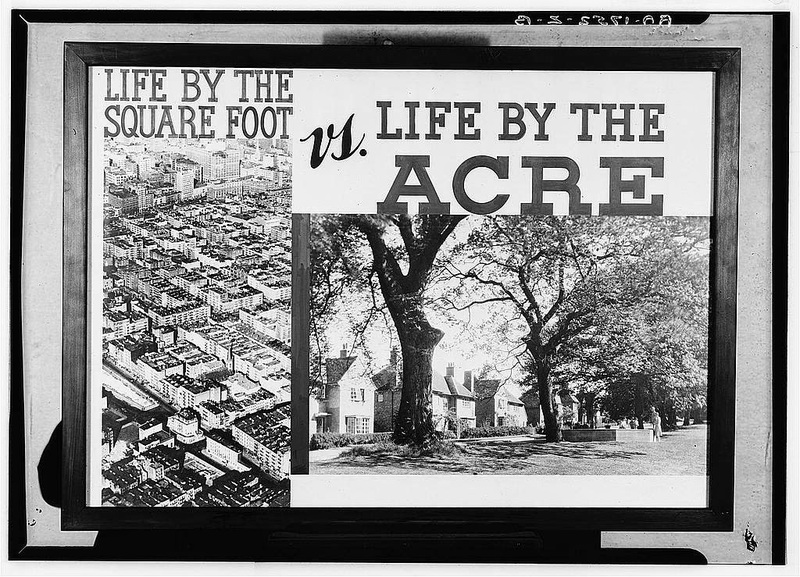 "Urban residents feel the tug of the suburbs. For every 10 suburbanites who said they wanted to live in an urban area in five years, 16 urban dwellers said they wished to live in the suburbs. Even among young adults aged 18-34— who are more likely to live in urban areas than older adults are—more wanted to move from city to suburbs than the other way around," Kolko says. Pressure by developers to urbanize suburban areas like Westbard in Bethesda, Twinbrook in Rockville, and White Oak in Silver Spring is driven by the pursuit of profits. But examining the current trends and data suggests the desires of the developers and County Council do not match what the majority of Americans are seeking today - the suburban lifestyle. Montgomery County Police are searching for a Rockville resident who has disappeared, and was last seen 5 days ago on Gude Drive. Marc Phillipe Jean-Pie Latimer was last seen on January 17, 2015, in the 600 block of East Gude Drive. Mr. Latimer is a black male, age 29, stands 5'11" and weighs 165 pounds, with black hair and brown eyes, according to police. Police say they are concerned about Mr. Latimer's physical and emotional welfare. Anyone with information regarding the whereabouts of Mr. Latimer is asked to contact the Montgomery County Police at 301-279-8000. The more Rockville's Planning Commissioners analyze and discuss the proposed changes to school capacity standards in the city's Adequate Public Facilities Ordinance, the less convinced they are of the wisdom in adopting them. Several commissioners have expressed doubt that the proposal to adopt Montgomery County's weaker 120% overcrowding cap - and assess capacity by cluster rather than by individual school - is necessary, viable, or even Constitutional. "I would actually contend that it’s a violation of your Constitutional rights to equal protection when it comes to public schools," to measure capacity by cluster, Commissioner David Hill argued. Hill found it ironic that many MCPS policies are "based on that specific premise." Adopting the proposed changes would be "incredible. Criminal? Yeah, I suppose, if you violate someone’s Constitutional rights," Hill concluded. The matter is "a question of principle," he said. Commissioner Jack Leiderman noted that the current language exempting senior housing from traffic standards would allow an automobile-dependent mega-retirement community the size of Leisure World to be built in the City of Rockville, and still be exempt from the standards - an oversight Leiderman described as "mind-numbingly stupid." "I think you have a good logical point about that, it makes sense," Hill concurred. Leiderman went on to demolish the case that proponents of the changes have made on several points. "It basically eliminates everything that the city had put into place to more accurately count school demand," he said, removing "the protection that it gave city residents." Alluding to the obvious developer support for the proposal, Leiderman suggested passage of the legislation would be "basically a complete deregulation of the development industry in the city." Language that would allow extension of queue dates for individual developments was too weak to account for the fact that a developer could always claim that lack of school construction funds from the state of Maryland were an issue. Leiderman predicted developers could exploit that "ad infinitum. The way this is constructed, you’ve got all this language in here that looks like we’re doing something, when in fact we’re not doing squat to protect the schools, or the citizens, if this unfortunate piece of legislation were to pass," Leiderman said. "Eloquently put," Commissioner John Tyner seconded. Use of the MCPS 5-year test and cluster averaging will be "an elaborate shell game” to cover-up the overcrowding of city schools, Leiderman said. It's the "distorting effect of cluster averaging and the 5-year test" that allows MCPS to currently run schools at 180% capacity, even when it claims a 120% cap exists. Faced with development moratoriums, Leiderman said, MCPS will cite "paper schools" where there will be capacity in 5 years. But it’s a "fictitious school" that never actually gets built, while the proposed development does. Under that scenario, "you’re not even adopting a 120 - you’re not even adopting a 180," Leiderman argued. Citing City Councilmember Tom Moore's recent grilling of his colleagues who oppose the changes, Leiderman found a double standard on the use of data. "The leading proponent of this legislation was sort of torturing his colleagues recently about their positions not being data-driven, and I had to just laugh out loud. Because this is not only not data-driven, but it’s ignoring the data that we have, which says that the schools that operate under this are in horrible condition," Leiderman recalled. Echoing the argument of Mayor Bridget Newton, Leiderman made the case that the current APFS standards have succeeded in not only protecting Rockville students from overcrowding worse than today's, but have actually resulted in new schools getting built. "We in fact have [new schools] coming online…ahead of a lot of the other areas in the county, despite" the APFO. He said that fact suggests "the impetus behind [changing the APFS] is extraordinarily specious, and unsupported by the data. I wish that the people who are behind this would actually tell us the real reason why they want this to happen." Tyner implored the city to consider the impact on core facilities at schools, not just classrooms. "Beall no longer has playgrounds anywhere, neither does Twinbrook," Tyner noted. Core facilities are "the things that really determine if kids get a good education or not," Tyner said. "We’re only talking about classrooms." One other interesting point not often brought up is that tying city standards to the County would leave Rockville bound to any future changes MCPS would make to its current standards, for better or for worse. Senior Assistant City Attorney Marcy Waxman confirmed that would be the case, after Commissioner Charles Littlefield questioned why the language couldn't be simpler in noting that link. The Mayor and Council are currently scheduled to act on the proposal in early February, and residents can speak on the matter at a public hearing this coming Monday. The Mayor and Council will hold a second public hearing on the proposed changes to Rockville's Adequate Public Facilities Standards regarding school capacity, which have been proposed by Councilmember Tom Moore, on Monday, January 26. These changes would adopt Montgomery County's weaker school standard of permitting 120% overcrowding, and allow school capacity to be measured by cluster, rather than by individual schools, as the city does today. Residents can sign up to speak by calling the City Clerk at 240-314-8280 by 4:00 PM on January 26. The meeting will be held at 7:00 PM at City Hall, and the public hearing is only one item on the evening's agenda. You can also sign up in person, but you will have to wait until the speakers who signed up in advance are finished. One public hearing has already been held, and the Mayor and Council are scheduled to act on the proposals in February. 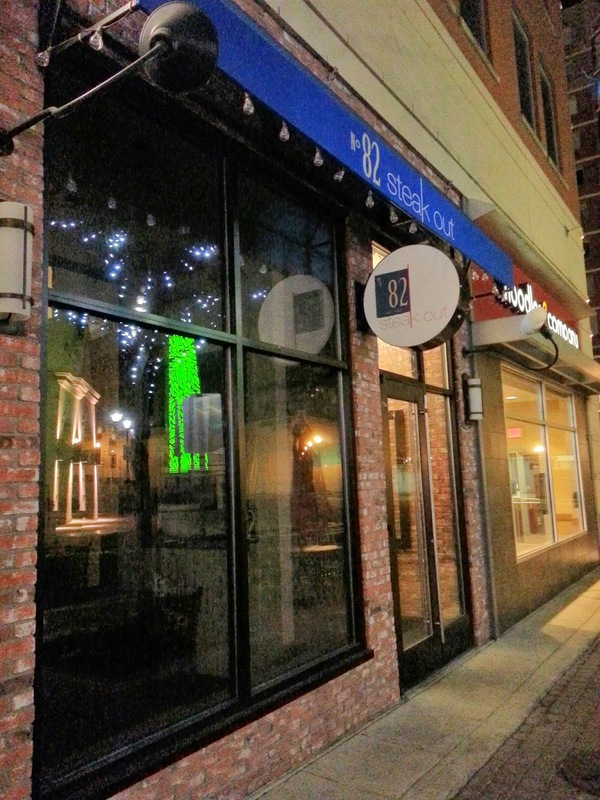 Another closure at struggling Rockville Town Square. 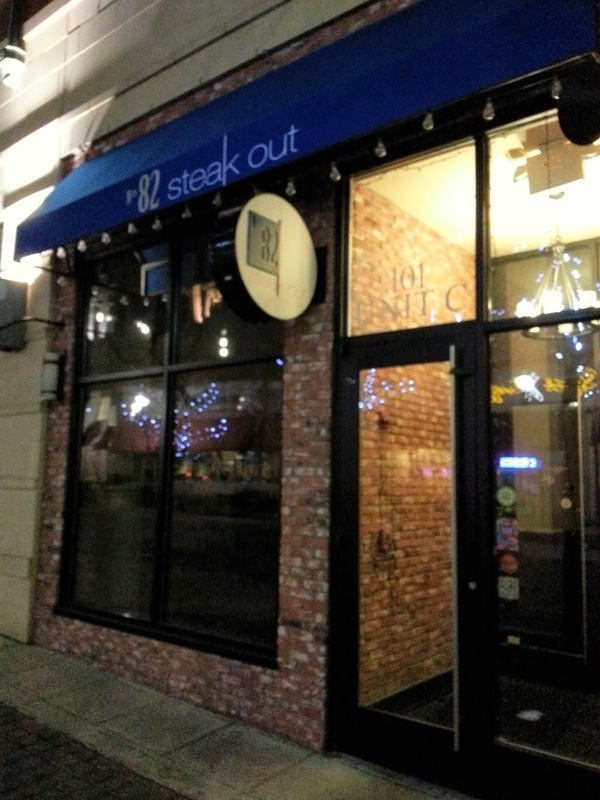 82 Steak Out, a well-reviewed and reasonably-priced steakhouse, has closed. Friday was its last night of operation. The restaurant, which opened slightly less than a year ago, had just received a rave review from the notoriously Montgomery County-averse Washington Post in November. A disappointing finish, but the reception bodes well for any future ventures by the owners. 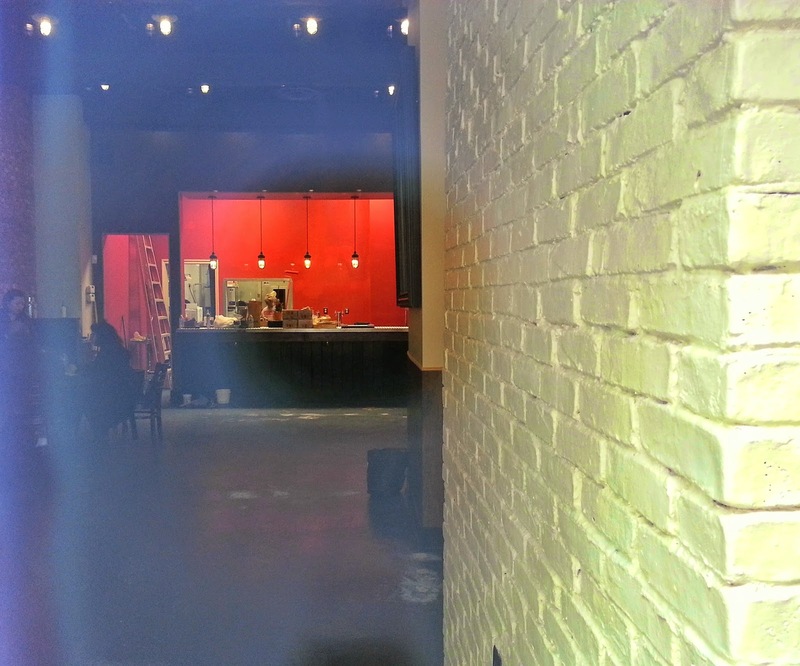 These pictures showing a darkened restaurant were taken at the height of the dinner hours Saturday night. Mayor Bridget Newton will deliver Rockville's 2015 State of the City address on Thursday, January 29, at 7:00 PM, at the F. Scott Fitzgerald Theatre. The theatre is located in Rockville Civic Center Park, at 603 Edmonston Drive. The speech is free and open to the public. Newton's theme will be "Rockville: The City that Energizes." A reception will follow in the theatre's lobby. More evidence of Montgomery County's moribund economic development climate comes from commercial real estate firm CRBE's DC Tech Pulse: Metro Office Leasing Activity Snapshot report from December 2014. The study found that Northern Virginia's tech-related leases accounted for a full 70% of the region's total tech leasing activity in 2014. The DC suburbs in Maryland had a paltry 19%, in comparison. While the study does reflect the success Montgomery County has had in the biotech sector, it shows several of the weaknesses we need to address in future economic development efforts. According to the report, Northern Virginia's tech leasing dominance was driven by high-tech and aerospace firms. Biotech is an important but small niche by comparison, and we can't compete on that alone. In fact, the top 2014 lease in Northern Virginia, according to the report, was Northrop Grumman, who chose Virginia over Montgomery County in a humiliating defeat for politicians on this side of the river in 2010. Northrop occupies a full 309,757 SF at its Fairfax County space. 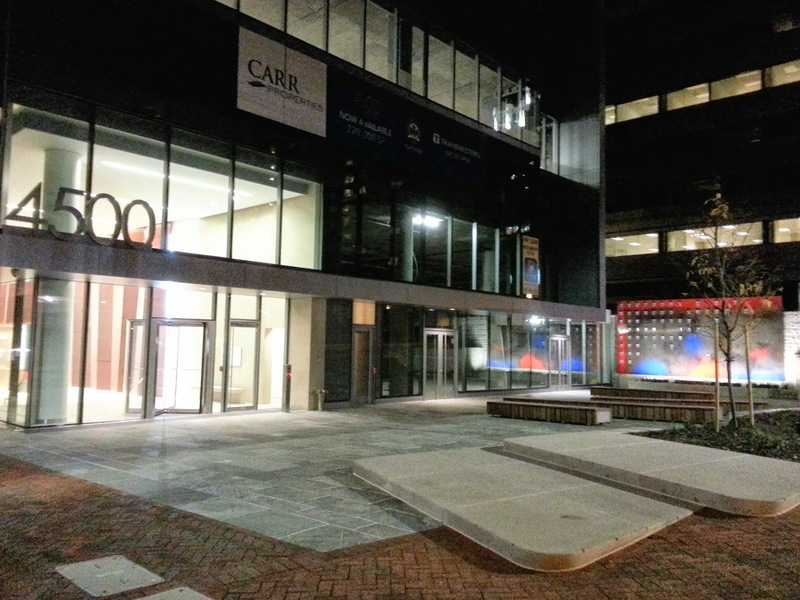 The two next-largest tech tenants in Northern Virginia? Yep, both aerospace/defense firms - Argon ST and Boeing. Now check out Montgomery County - the report cites 0% leasing by aerospace and defense firms in 2014. Zero! The county's largest tech lease in 2014? JDSU, a technology services firm in Germantown, with 45,726 SF, paltry in comparison to Northrop's. The report also cites the proximity of Northern Virginia's "strong concentration of highly educated young knowledge workers" to that area's tech, defense and aerospace firms, a workforce Montgomery County has struggled to attract. 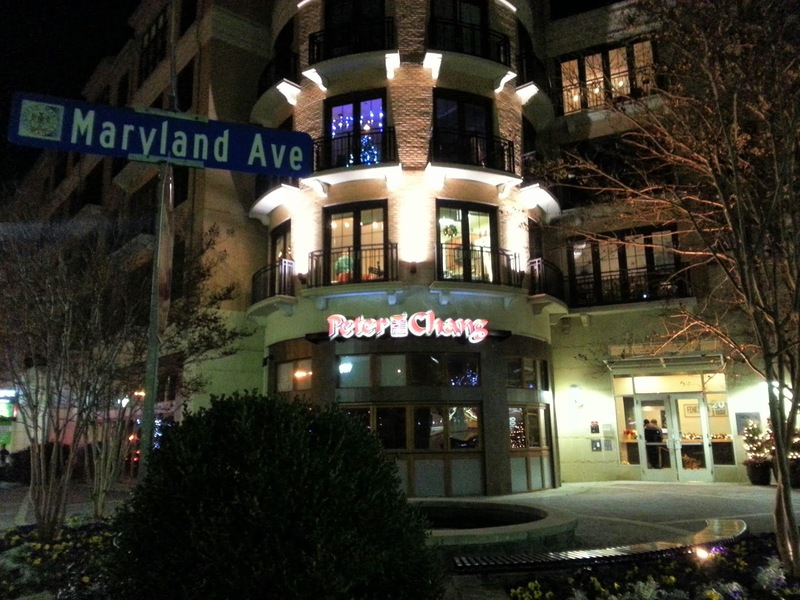 Recent efforts to boost MoCo's nightlife have fizzled, leaving downtown Bethesda with less nightlife than it had just a few years ago. The County Council's efforts to make Uber and Lyft fares more expensive, ban e-cigarettes where traditional cigarettes are banned, and approval of the closure of Dave and Buster's are unlikely to increase the county's appeal to millennials. How can Montgomery County revive its floundering economy? Better economic development incentives, a more business-friendly climate, a greater appeal to young professionals, and investments in highway infrastructure. The county had $4 million to spend, and put it toward securing a Costco store in Wheaton. By contrast, Arlington County paid the same amount to bring the Corporate Executive Board to a new Rosslyn office tower. CEB brought a couple thousand jobs, plus plans to add 800 new ones that average $100,000 in salary. Not exactly Costco wages, and only Montgomery County would try to use a Costco store as an economic development trophy. What brings millennials to Northern Virginia and DC? Two big factors - high-wage jobs and (in only relative terms) affordable housing. Not luxury apartments. While nightlife is important, there's a reason new graduates across America move to Washington, DC rather than Las Vegas. Montgomery County hasn't added a single major corporate headquarters in over a decade, meaning it hasn't added any significant number of non-government high-wage jobs in more than 10 years. It also is demolishing affordable apartments in desirable areas like Bethesda, including The Hampden and several buildings on Battery Lane. Talk of redeveloping the Bradley Boulevard corridor suggests lower-cost housing currently rented by millennials there could vanish, as well. Finally, there's no getting around (pun intended) Montgomery County's traffic gridlock, and lack of Dulles Airport access. Northern Virginia's job centers like Tysons Corner have far superior access to interstate highways and airports. The big international firms also demand direct access to Dulles Airport, and Montgomery County has failed to plan for or build the new Potomac River bridge that could provide such access. As such, firms continue to choose Northern Virginia. In fact, one perk in Virginia's incentive package for Northrop was a discount lease for its corporate jet at a Dulles Airport hangar. Not a Bus Rapid Transit pass. A new ordinance regarding pets and livestock was introduced at Monday night's Rockville Mayor and Council meeting, by Councilmember Julie Palakovich-Carr. Palakovich-Carr said she has held a public meeting, and meetings with the Animal Matters Board, the Environment Commission, and other relevant bodies in the city to discuss and refine the legislation. She said these revisions would equal or exceed the standards currently enforced by Montgomery County. One provision would prohibit the possession of most wild animals considered "dangerous or exotic," including bears and wolves. Owners of rabbits, birds, fish and other non-dangerous exotic pets would no longer have to register with the city. If residents' exotic animals pose a threat to the public, they would be required to notify the police if those pets escape. The ordinance would allow the city to designate off-leash play areas for dogs on city property. It would also establish a trap-neuter-return program for feral cats, with the goal of reducing their number over time, Palakovich-Carr said. Goats could be utilize to remove or control vegetation, and up to 5 hens could be held in backyard coops and outdoor enclosures at single-family homes. 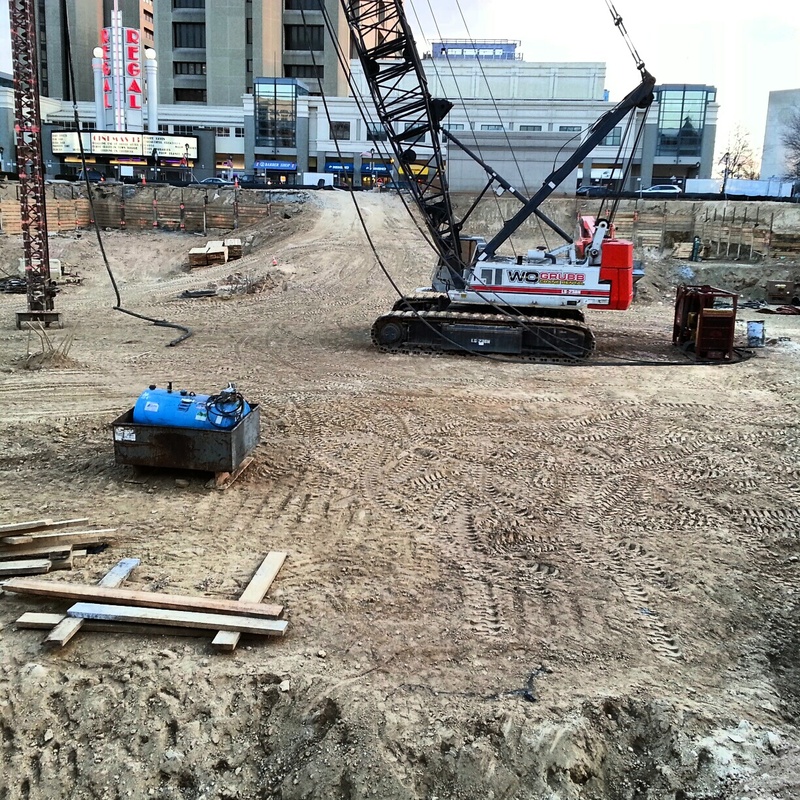 A setback from homes and property lines would be determined at a future date. The coops and enclosures would be mandatory. A public hearing will be held on February 9, 2015 on the proposed ordinance. The Rockville Department of Recreation and Parks presented an audit and options for repairs and improvements to the Rockville Swim Center at last night's Mayor and Council meeting. Smolen-Emr-Ilkovitch Architects (SEI) was hired by the City last year to conduct the audit. The 1968 facility remains a popular one for city residents and swim teams. SEI's audit found the center generally in good condition, but identified code violations in the locker room and tot pool, and structural concerns in the outdoor filter room. Filtration systems in general could use an upgrade, and aging and deterioration need to be addressed where necessary. The Mayor and Council have already approved a replacement of the South Pool Deck, and renovation of the HVAC system. That November 2014 decision is funding a new pool deck, repairs to the structural pool walls, and air quality improvements to the South Pool Natatorium. In addition to making budget decisions about immediate, short and long-term renovations and repairs, several potential additions to the site were discussed. 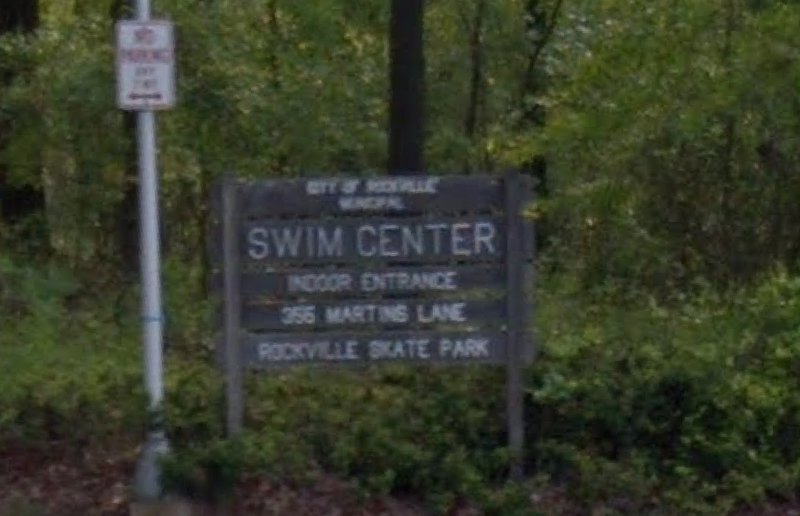 Councilmember Virginia Onley said she would like Rockville's Swim Center to be upgraded to be competitive with Montgomery County's Kennedy Shriver Aquatic Center, which she said is drawing some Rockville residents away. Councilman Tom Moore recommended holded a town hall meeting to get public input on what residents would like to see added. Mayor Bridget Newton agreed, and said that, if a town hall meeting can't be held, there should at least be a public comment period added to a future Mayor and Council meeting for resident feedback. 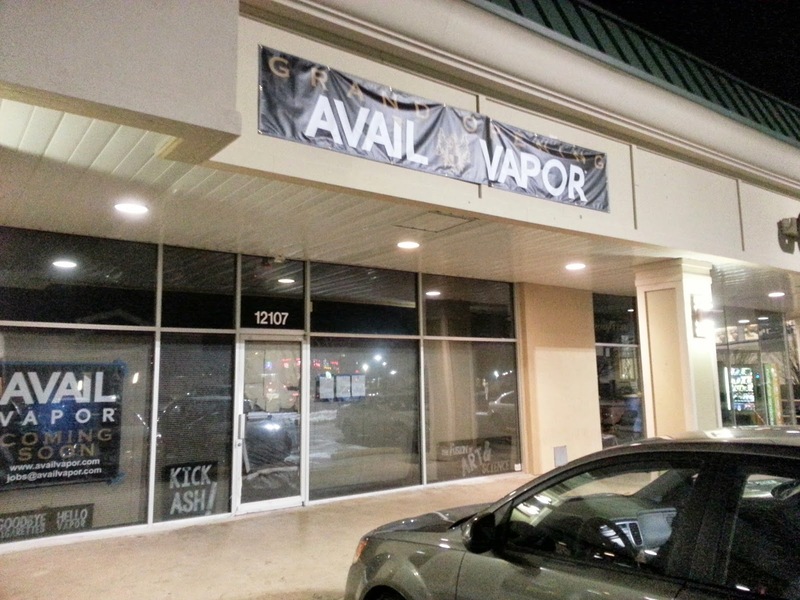 A new vaping supply retailer is joining pioneer Vape Ink in Rockville, but just outside of the city limits. 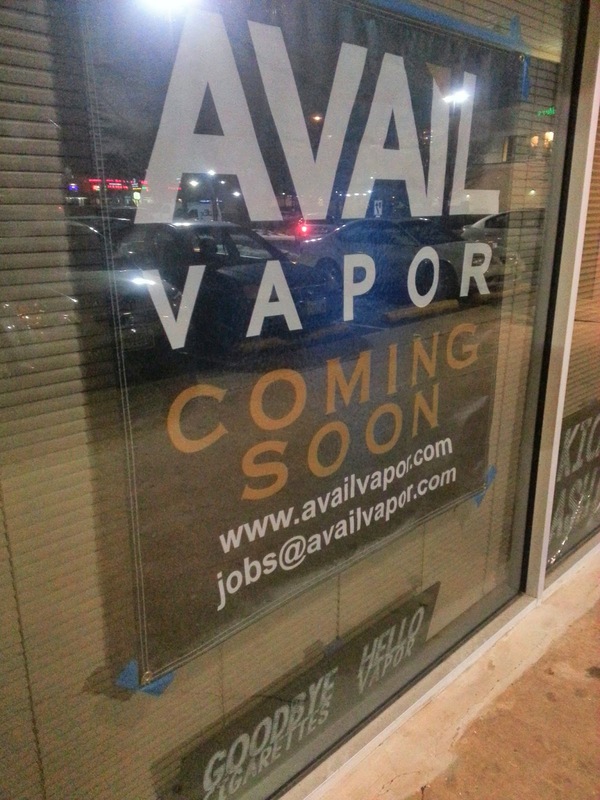 AVAIL Vapor is coming to the Pike Center at 12107 Rockville Pike (also home to TGI Fridays and Pier 1 Imports). Richmond-based AVAIL says all of its juices are made in Virginia, and that they contain no artificial sweeteners, oils, GMOs or preservatives. It emphasizes its juices are manufactured in a hygienic facility in Richmond, under the supervision of Dr. Baylor Rice, RPh, FIACP, a licensed compounding pharmacist. The Rockville Historic District Commission is scheduled to receive an update on the potentially-historic 5 Choke Cherry Road office building next week, which faces demolition in the JBG Companies' current plan for its Upper Rock property along Shady Grove Road. Last month, the commission voted to postpone its decision until it could receive more information about the historic value of the structure, the number and state of existing properties in Rockville by its architect, John "Jack" Sullivan," and the potential reuses for the building with input from JBG. Also facing demolition, and requiring an approval to do so from the commission at the same January 15th meeting, is a single-family home at 540 Brent Road, in the Roxboro subdivision. The meeting will begin at 7:30 PM in the Mayor and Council Chambers at City Hall, and be televised on Channel 11. There's a new donut shop in town, and if that wasn't enough danger for your New Year's resolutions, it has a Baskin Robbins ice cream store in it, as well. The new store is located at 777 Hungerford Drive, next to 7-Eleven, and near the original Flagship Car Wash location. 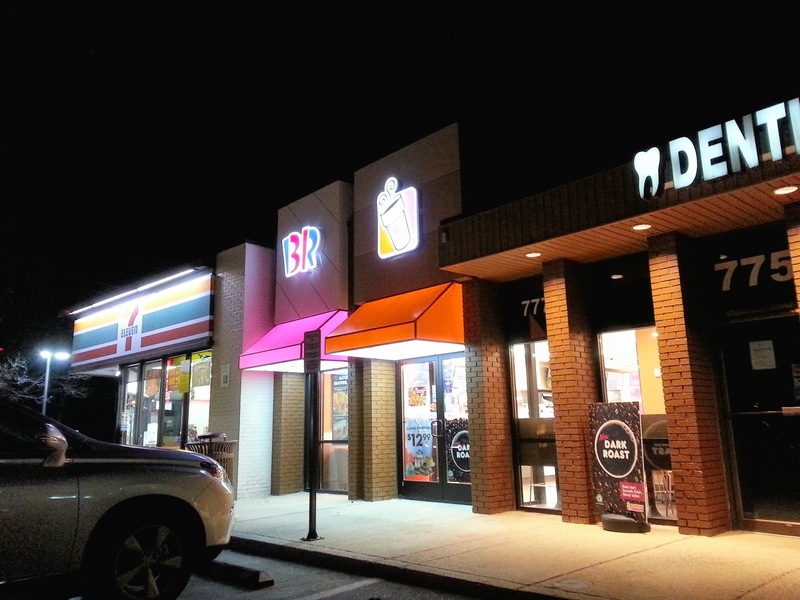 Another Dunkin' Donuts is opening in the College Plaza shopping center, as well. 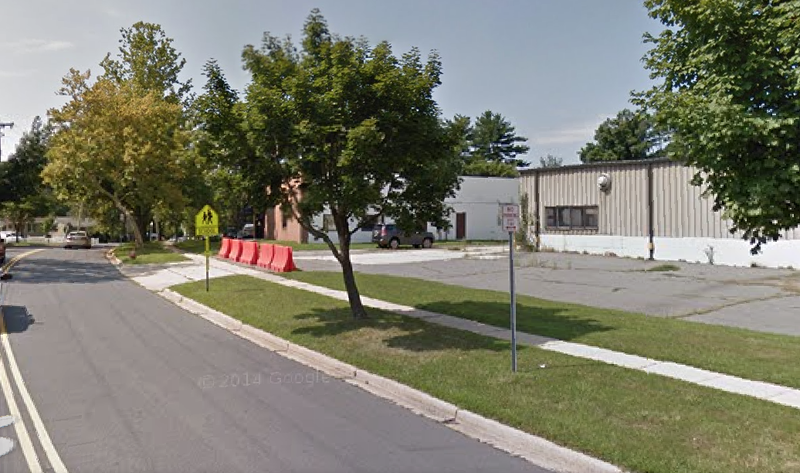 A zoning text amendment that could scuttle a planned self storage facility near Maryvale Elementary School in Rockville will be presented by staff to the Mayor and Council at their January 12 meeting, following a vote instructing staff to do so Monday evening. The ZTA would prohibit self storage facilities to be place within 250 feet of schools, which would disqualify the facility currently proposed by Siena Corporation on Taft Street. Siena's attorney, Robert Dalrymple, has previously threatened legal action against the city, should his client's project be stopped. The ZTA appears almost certain to pass, as Mayor Bridget Newton, and Councilmembers Beryl Feinberg and Virginia Onley have spoken in support of it. Feinberg and Onley both stressed Monday evening that, in their view, the ZTA is not targeted toward the Siena project. 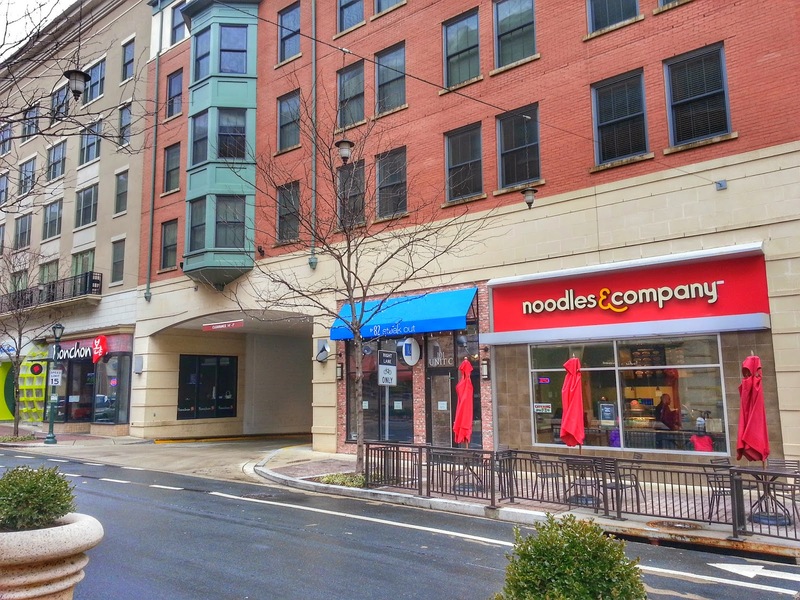 But passage of the ZTA is the only thing standing in the way of Siena's plans, particularly after the Rockville Planning Commission ruled that there was no legitimate reason to deny the company's proposal last month. Councilmember Julie Palakovich Carr put great weight on the commission's ruling, quoting from each commissioner's remarks during the discussion. Councilmember Tom Moore concurred, saying that while he often disagrees with the commission, he thought the decision was significant. Both warned Monday evening of the potential legal and fiscal consequences passing the ZTA could hold for the city. Moore attempted to grill Feinberg for more detail on what specific data should give the city pause about the potential dangers a self storage facility would pose toward schools and residents. He read from a list of other possible uses for the Taft Street property, including fuel filling station, temporary carnival and adult-oriented establishment, arguing that several on the list posed greater dangers to children and pedestrians than self storage. The meeting grew contentious as Moore pressed Feinberg for specifics. Feinberg later returned the favor, demanding data to back up one of Moore's points, saying, "I'm gonna do to you what you do to me." As the debate began to circle further into the night, Newton chided Moore, saying, "people don't know when to stop repeating themselves." Moore offered an amendment to grandfather the Siena project, but it was defeated 3-2, with Newton, Feinberg and Onley opposed. Feinberg suggested making the buffer 500 feet, but withdrew her amendment after staff could not demonstrate advantages in the city requiring the added distance. A third amendment by Moore would have required the city to set aside $3 million dollars in FY2016 for legal fees, which he believed would face the city should the ZTA pass. That measure, too, failed, only drawing support from Palakovich Carr. Newton said the matter was a public safety issue, which should take priority over fears of legal action. Feinberg concurred, saying, "I'm not going to be intimidated or succumb to fearmongering." Ultimately, the Mayor and Council voted 3-2 to instruct city staff to draft a final ZTA, and present it at the January 12 Mayor and Council meeting. Moore, who said he is "deeply concerned" about the zoning action, and Palakovich Carr, who lives in East Rockville, were both opposed to the motion. BLACKMAIL! 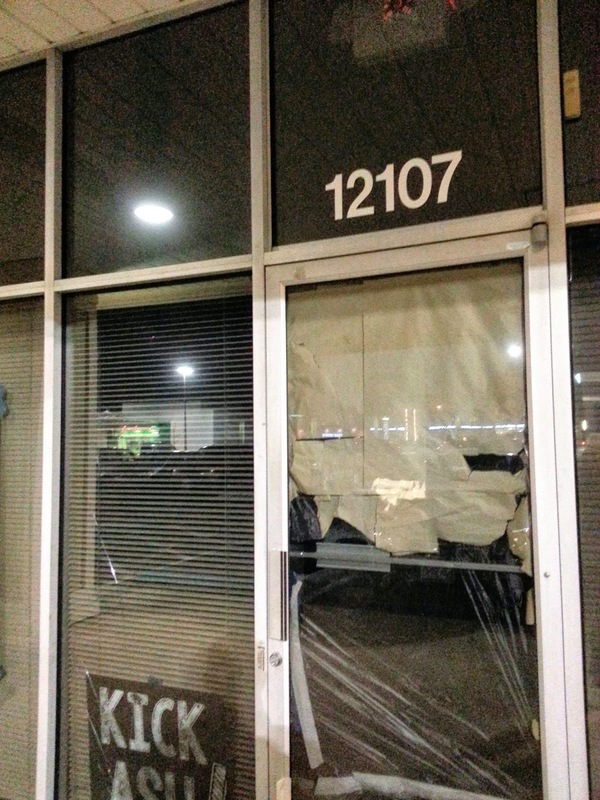 ARE MCPS AND DEVELOPERS HOLDING ROCKVILLE HOSTAGE OVER APFO? While it seems that the fight over Rockville's Adequate Public Facilities Ordinance keeps coming back like Freddy Krueger, a new talking point emerged at Monday night's public hearing before the Mayor and Council. Some proponents of lowering the city's school capacity standard, from 110% to the 120% overcrowding limit allowed by Montgomery County, appeared to be using the change as blackmail for school construction funds. Open Rockville to developers who fund the campaigns of all Montgomery County Councilmembers except Marc Elrich, they argued, and those development firms and Montgomery County Public Schools will release funds they apparently won't put towards Rockville classrooms otherwise. While this is most definitely not the legal mechanism for school funding in the state of Maryland, developers and their allies at the County level made clear they are fed up with the City of Rockville retaining control over its development and quality of life. Former Rockville Planning Commissioner Steven Johnson put into words what many observers may have been thinking after hearing previous speakers, when he used the phrase, "held hostage," in making his case to lower school standards. What was originally designed as a tool to guide development, Johnson said, is now "a blunt instrument to kill" residential development in Rockville. 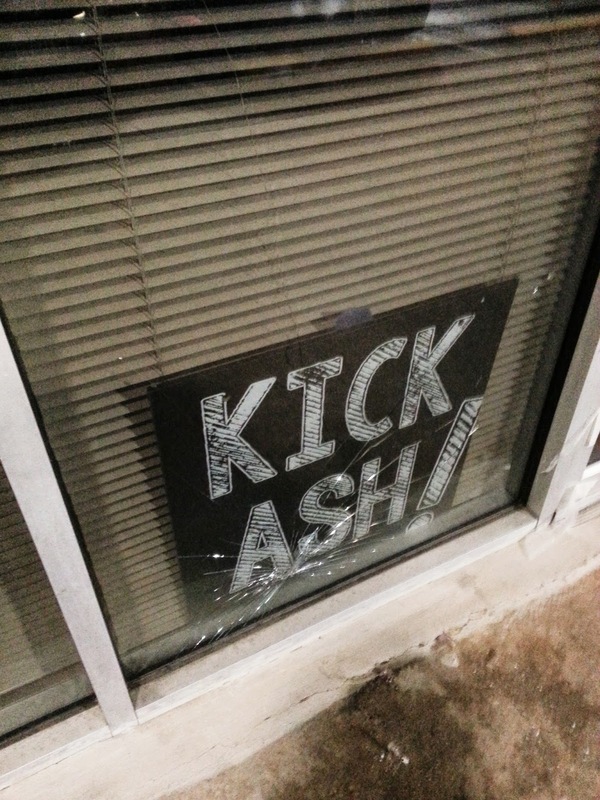 "You need to change your APFO ordinance," former Rockville Mayor Rose Krasnow warned her successor and city councilmembers, or Rockville will be "left in the dust" by Downtown Crown and other urban town centers popping up around the county. Krasnow, now employed by the Montgomery County Planning Department, suggested allowing Rockville schools to get more overcrowded would somehow result in extra MCPS construction money flowing to city schools. Most significantly, Krasnow described Rockville's current relationship with the County as "antagonistic," and that County officials feel that the City is "not willing to work with them." Aakash Thakkar, Senior Vice President with infill development firm EYA, put the message in somewhat more diplomatic terms. By allowing more residential development, including a Tower Oaks project sought by EYA itself, the city could thereby "show goodwill" to County officials who want more tax revenue. This would lead to a more "cooperative relationship" between the city and county. He said developers would also contribute money for schools, although no such legal requirement exists to enforce such a promise, beyond the basic school fees charged now for development in Montgomery County. Thakkar also argued that "new people" are needed to support the retail businesses in Rockville. Not so fast, Rockville resident Jack Gelin rebutted in later testimony. The idea that the city should accept more-crowded schools and more development simply so that county officials will "not be angry with us" was not a good argument for changing the APFO standards. As for Thakkar's promise of more tax revenue for schools being generated by new development, Gelin referred to the "old discredited theory that somewhere there's a free lunch. This has never happened, and will not happen." In fact, Montgomery County has been on a building binge for years, with the exception of during the recent recession, and is locked in a structural deficit as far out as can be forecast. All of that tax revenue has failed to keep up with the costs of new infrastructure and services the new developments required. Even jurisdictions who have created more jobs than Montgomery County, like Fairfax and the District, are facing budget crunches. Where is all of the magic tax revenue? Nowhere to be found. The idea that allowing more development and more school overcrowding would magically solve Rockville's challenges was among a number of false promises made by advocates of watering down the APFO, former Mayor Larry Giammo said. "Stop promulgating myths," he exhorted councilmembers who favor the changes, whose proposals he said were causing "unnecessary and harmful divisiveness" in the community. Rather than change the APFO, Giammo proposed, a better approach would be to update the city's master plan, and engage the county's Board of Education and and County Council to develop new strategies to address overcrowding. Mayor Bridget Newton said the latter option is in the works, citing a discussion she had with Councilmember Roger Berliner (D-District 1) earlier regarding a work group he is assembling to look at the county's APFO standards. That group will be seeking input from municipalities, and would be a more productive approach to the problem than arbitrarily changing the city's own standards, she suggested. Newton also disputed claims that Rockville had been passed over for school construction money because of its higher APFO standards, pointing out that at least two significant school projects are currently moving forward in the city. She and resident Joe Jordan also raised questions about how, and under whose authority, the city's staff produced a redline document on APFO changes. Newton asked staff to produce answers to those questions before a vote is taken on the measure. Jordan said he found it "really disturbing" that the process was being rushed without public discussion by the council, leaving residents unclear about each councilmember's position on the changes. Newton criticized city staff for leaving last night's public hearing off of a television announcement for the meeting, and for publishing a front page piece on Rockville Reports that implied she and all councilmembers were advocating changes to the APFO. She argued the city should wait for the outcome of Berliner's effort, and request an opinion from the state Attorney General on the question of whether she and the council have the legal authority to change the APFO, before voting on the proposed changes. The Mayor has the authority to request such an opinion, Newton said, noting that Councilmember Tom Moore had planned to do the same thing last year. Some would have to question the wisdom of the new talking point deployed last night by proponents of change. "I've got money, but I won't give it to you until you turn over control of your city to us," sounds like a bad mob movie more than a coherent development policy. 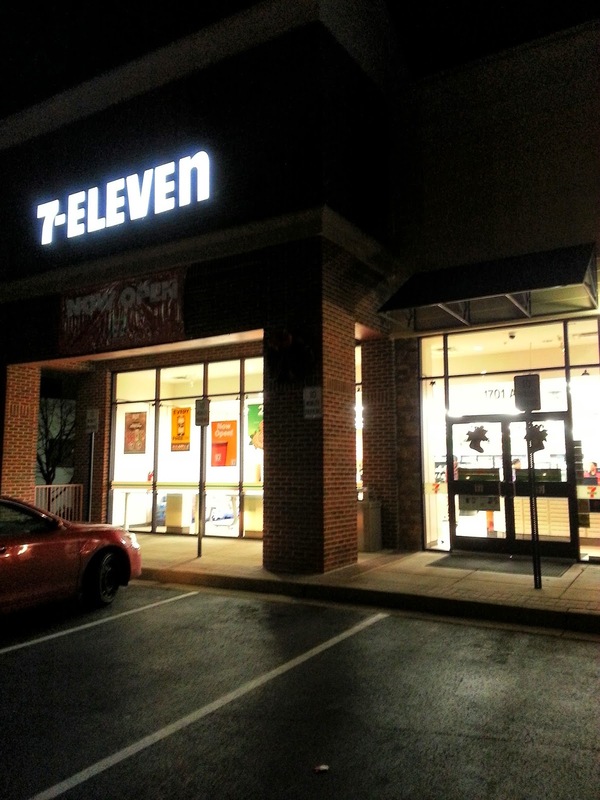 Rockville now officially has another 7-Eleven store, this one opening at 1701 Rockville Pike next to the EVEN Hotel, across from the Hilton. 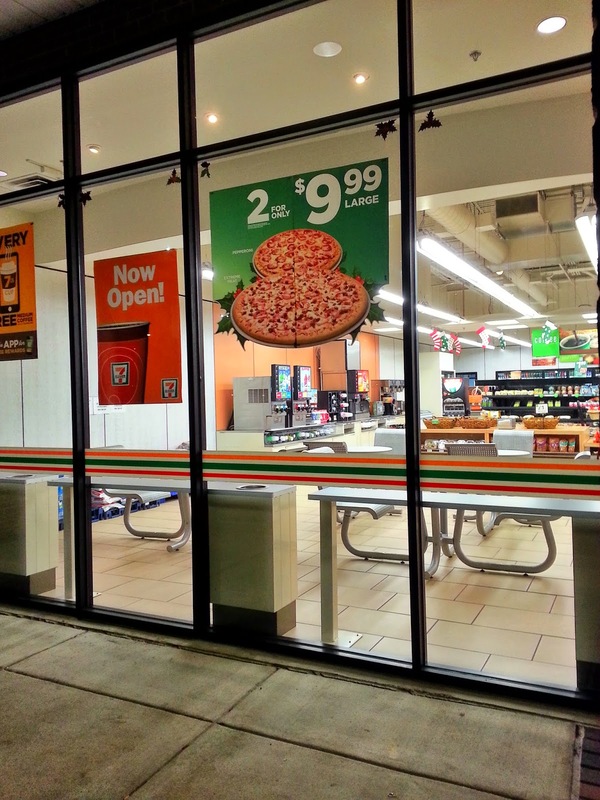 You may notice it is pretty large as 7-Elevens go, with room to expand in the future, and tables to sit at inside. 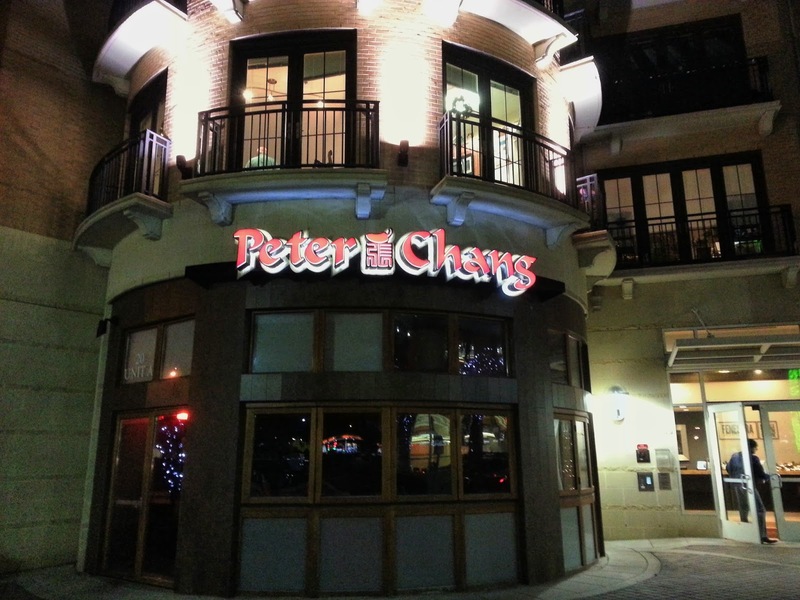 The permanent sign is up and lit at the future Peter Chang's China Bistro in Rockville Town Square.